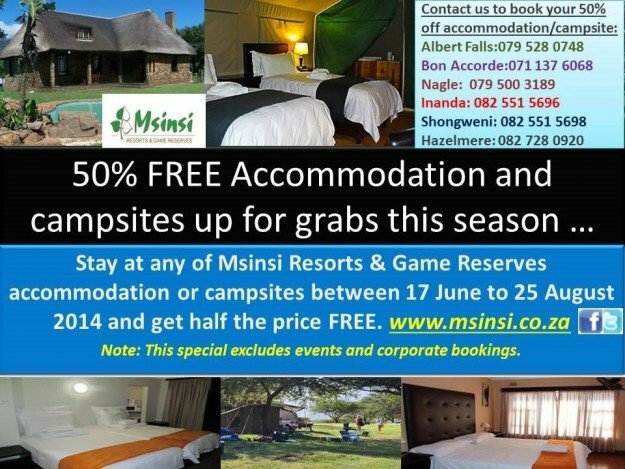 Get 50% off your accommodation if you stay at any of our Msinsi Resorts and Game Reserves between 17 June to 25 August. 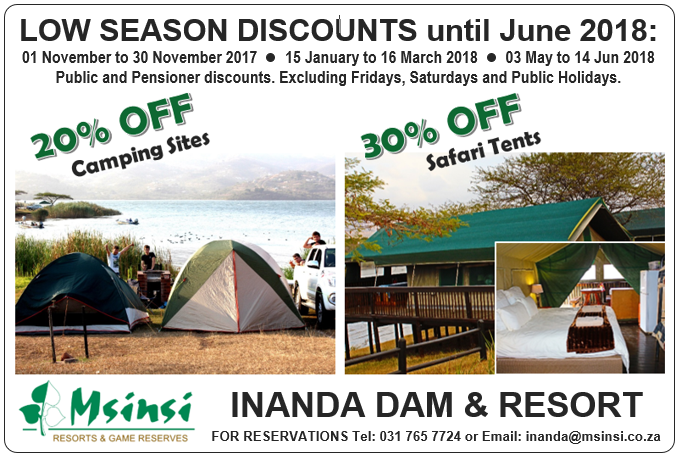 Does this deal exists for Shongweni dam accommodation? Hi, the special is it at ALBERT falls also? Is it on camping and Rondaval?